Apartment complex nestled on a hillside with views of the Rocher du Diamant and the Caribbean Sea. 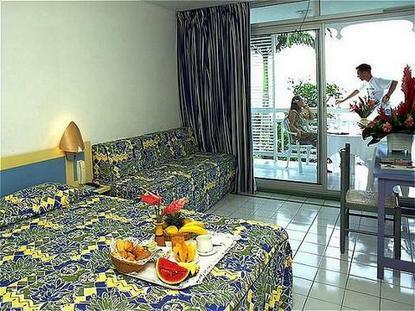 25km from Fort de France Le Lamentin airport and 2km from the centre of Le Diamant. 149 airconditioned rooms featuring kitchenette and fitted out balcony . with full housekeeping service once a week and linen changed every 3 days. Daily linen change or additional housekeeping available at an additional charge. 600 sqm swimming pool, childrens pool with waterslide, tennis court and other leisure facilities.